The GE Voluson 730 Expert cart-based ultrasound is known as one of the top ultrasounds in the industry, providing a variety of high-end imaging technologies combined with streamlined workflow features to help new and expert physicians get the job done easily and effectively. Furthermore, this premium ultrasound not only improves 3D/4D capabilities, but it can also enhance 2D imaging for greater diagnostic confidence for obstetrical, gynecologic, breast, and general imaging studies. It’s important to note that the GE Voluson 730 Expert ultrasound is the upgraded version of the Voluson 730 Pro. Compared to the 730 Pro, this advanced ultrasound features a touchscreen interface, higher frame rates in 2D and 4D, and more advanced imaging options such as STIC and TUI. 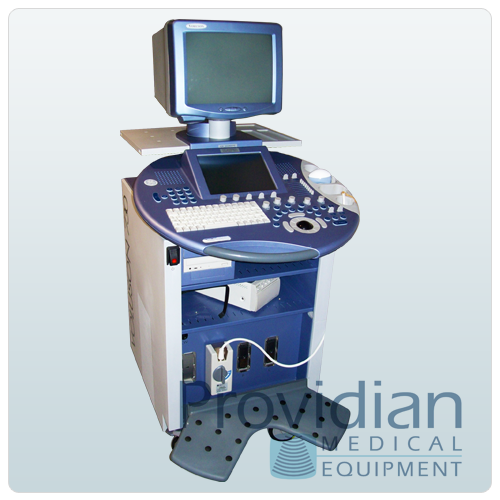 The Voluson 730 is a workhorse of a 4D ultrasound machine. It remains a popular system in many OB/GYN/Women’s Health offices, as well as 4D “Babyface” studios around the world. It is a durable machine with very good image quality for all women’s health needs.